Chinglish：God, please give me a chance again, I won't do this again. My boyfriend has come to see me. It's really a big surprise! To this veteran teacher, it's one surprise after another. Revision ：How to improve our English skills? Chinglish：His writing and translating level are very high. Revision：He has very good writing and translation skills. 现在追求技术的时代，skills也走俏。什么English skills, computer skills, study skills, survival skills, writing skills...都泛滥了，我们也"决口"一次如何? Chinglish：Thank you for your goodwill, but I can go home on foot. 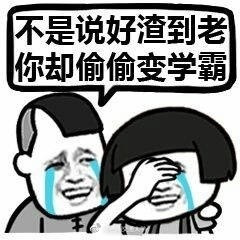 这个机会可是我最后给你的。答应不答应随你的便。This is my last offer to you. Take it or leave it. Chinglish: I did one or two times, but I failed. Revision: I tried a couple of times, but I failed. Chinglish: Please put down your heart. I'll give all my strength out. Revsion: Don't worry, I'll try my best. Chinglish：This cake is so delicious, please eat a little. Revision: The cake is so delicious. Please try some. Chinglish: It won't do. Please see it again. Revision: It won't do. Please try again. This skirt looks so beautiful. Would you please try it? So, Please try this word more often.